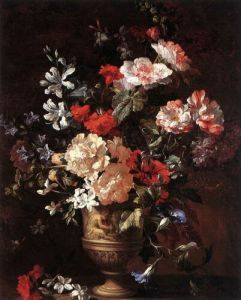 Joannes Baptist BOSSCHAERT, painter, was baptized in Antwerp on 17 December 1667 and died around 1746, as the son of Joannes Baptist (also a painter) and Joanna DE BIE. Joannes Baptist has no relationship with the Ambrosius branch. 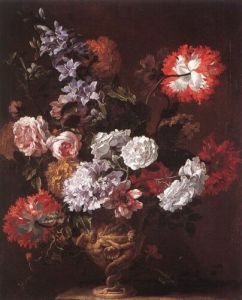 In 1685 he became a pupil of Joannes Baptist CRÉPU and he acquired the mastership in 1692 or 1693. 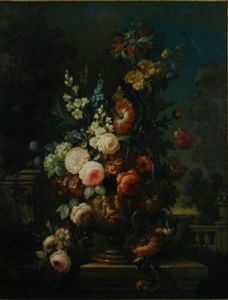 Joannes Baptist made decorative flower pieces and also decorated the paintings of other artists with flowers and fruits.